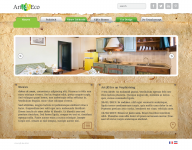 Design a webpage for a classy furniture shop/boutique, that offers to redecorate rooms and works with refurbished/recycled furniture and materials. 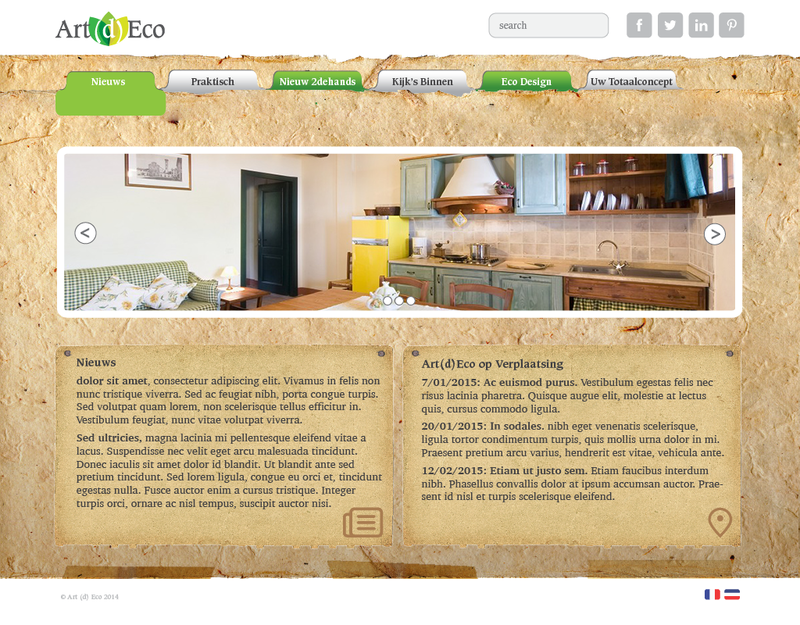 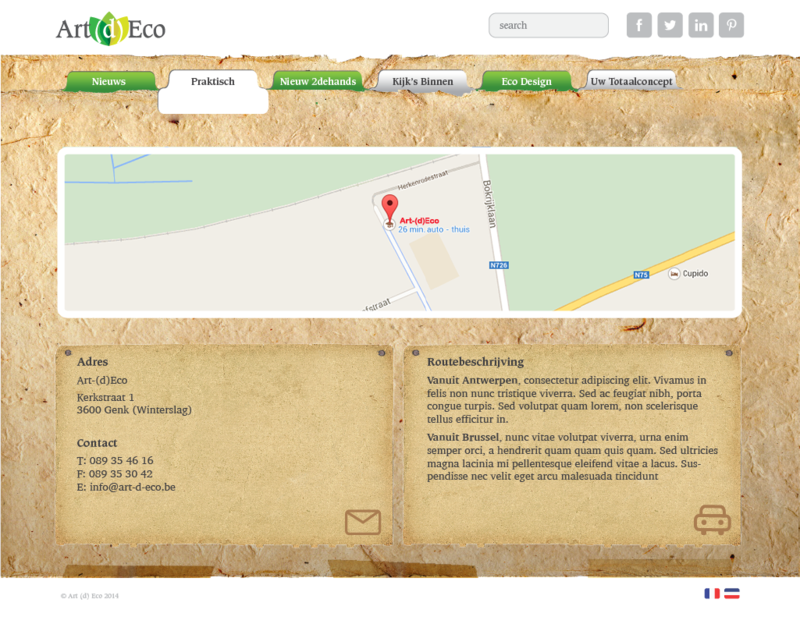 The aspect of recycled materials is very important and is prominently visible in the look and feel of the website. 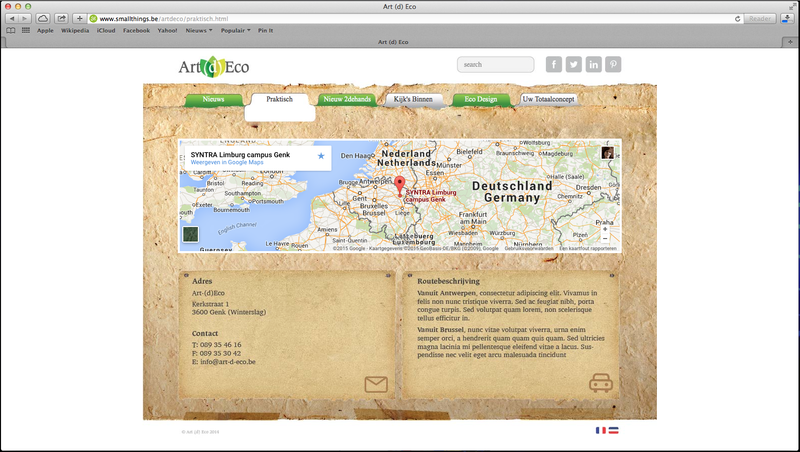 The logo is made up of two elements: a nice elegant font for a classy feel and the leave structure behind the words, that acts as a connection between the words (and their meaning) and to symbolize the environmental care & vision of the company. 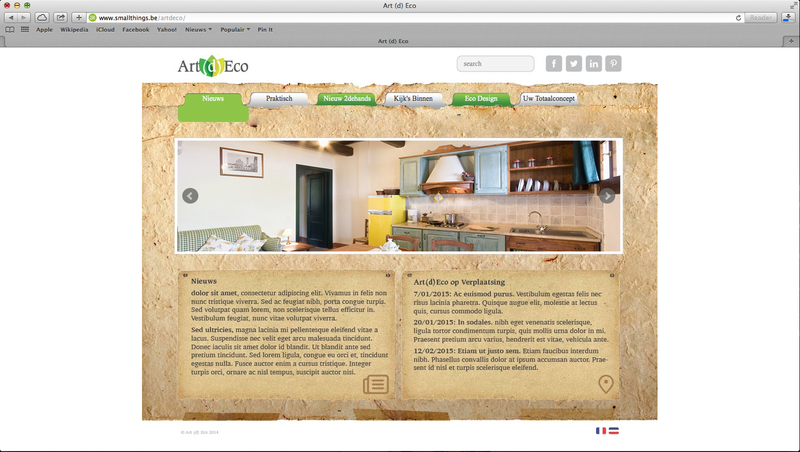 For the website layout, I chose to work with paper- & wood textures to express the recycle aspect in the website and a green/brown color-scheme to visualize the environment aspect.